The initial CC release shipped on June 17th of last year. We originally thought we’d see updates released about once a month or so – but with 15 different creative tools across the entire CC collection, the upgrades have come more frequently… On average, each indiv­idual app is being updated every 2-4 months. So we know already what’s different between 2012’s CS6 vs. the first CC release, but there isn’t anywhere we’ve seen keeping track of everything that’s happened since. In other words, what are the differences between the original June version of CC and the currently-available version? And finally, we’ve put together complete sets of direct links to download all of these CC product updates, available for both Windows and Mac OS. That’s it for the moment, you’re all caught up now… We’ll keep this list updated going forward! So where are the Photoshop updates? There have also been smaller updates via several enhancements to Adobe Camera Raw. We expect more new PS features & improvements coming soon which will automatically be available to CC members. This list is impressive…. I would be even more impressed if I saw Encore somewhere on the list! I just saw a survey where the majority of NLE users said that they still burned discs for clients. This is one way they made money to support their business models. Yes, you’re right – Adobe Encore was not updated to a new Encore “CC” version. However, you may know that you can continue to access and use the older Encore CS6 release with new CC tools (it comes with your Creative Cloud membership). Thanks for the note. I am sure it is not the first time this has been mentioned… but still no movement towards a real solution. :) Hey, even Microsoft brought back the Start button after enough feedback! Yes… we have all seen that post many many times about running Encore CS6. I also still have an old PC running Windows XP, but I choose not to use it any more. We see all of the positive congratulatory notes about all the improve­ments for the other programs, and I love many of the Pr Pro, LR, and PS enhance­ments. But of course nothing for Encore. Which if you use Premiere Pro, is probably your 3rd or 4th most used program of the lot. 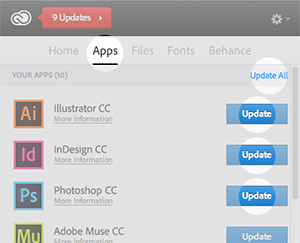 What's New & Upgraded in Adobe CC Since Its Initial June Launch?